Since May, the boys and I have been working our way through the 50 States using a great outline I pilfered from an awesome new friend. 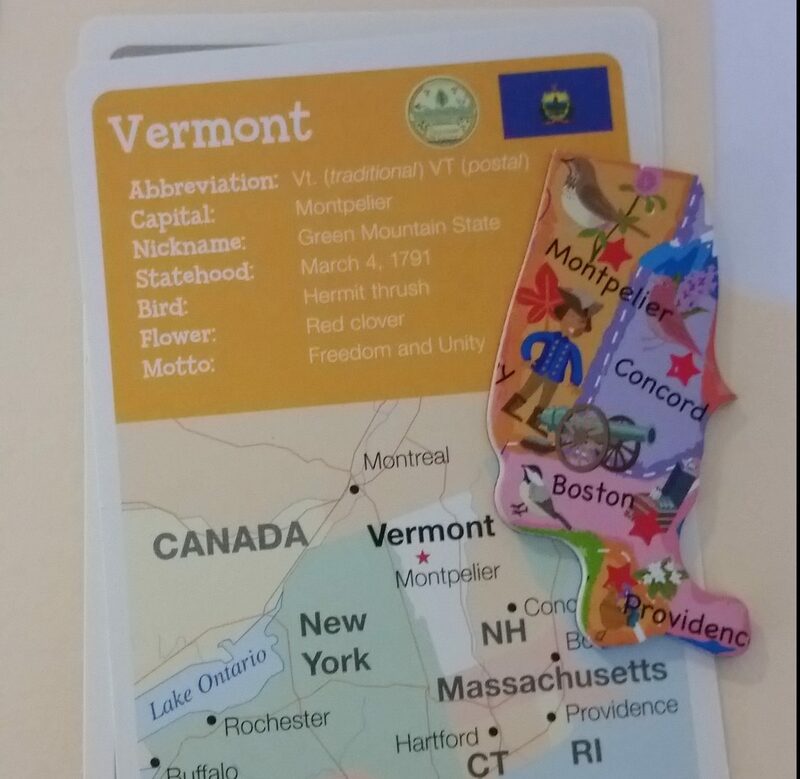 At the start of every week, we get a magnet of the state we are going to study and a card with a few state facts. The materials for the day are left in a mailbox I bought at GoodWill, and the boys take turns checking it every morning. This week, we are studying Vermont. We fix food, do different activities and check out library books that pertain to each state. 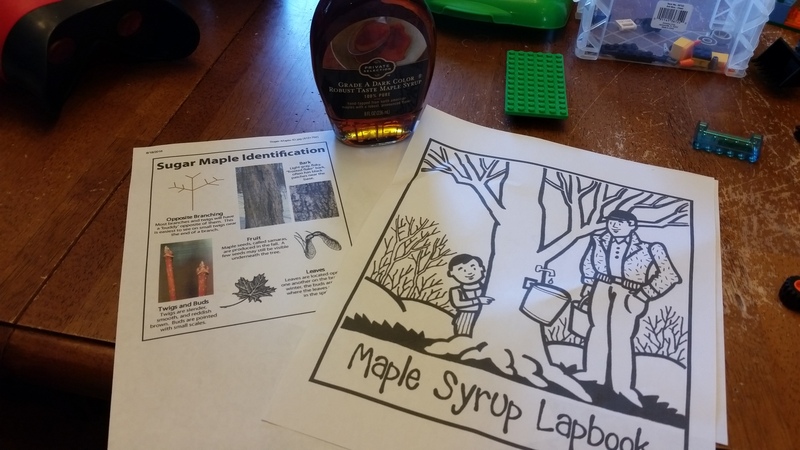 The other day, we learned how maple syrup was made and how to identify the state tree of Vermont: the sugar maple. 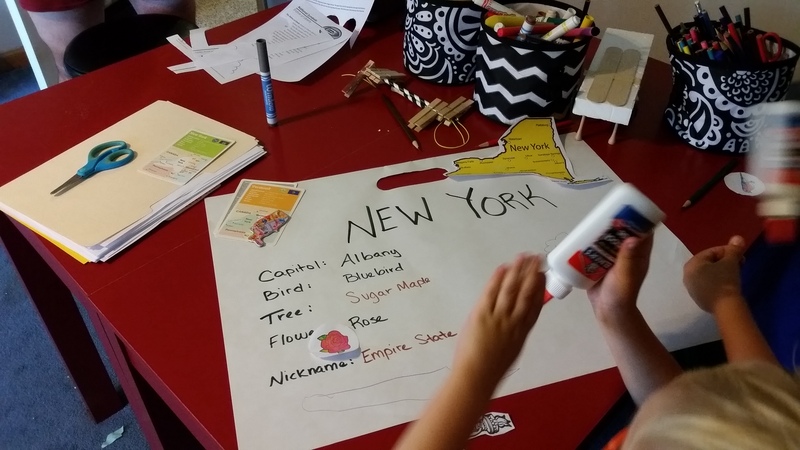 Last week, we were studying New York. 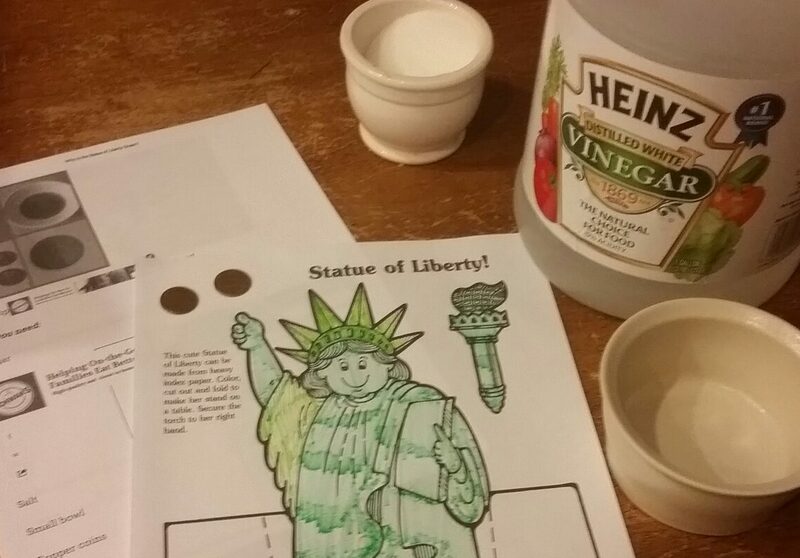 We studied the Statue of Liberty and did an experiment using salt, vinegar and a penny to answer the question: Why is the Statue of Liberty green? 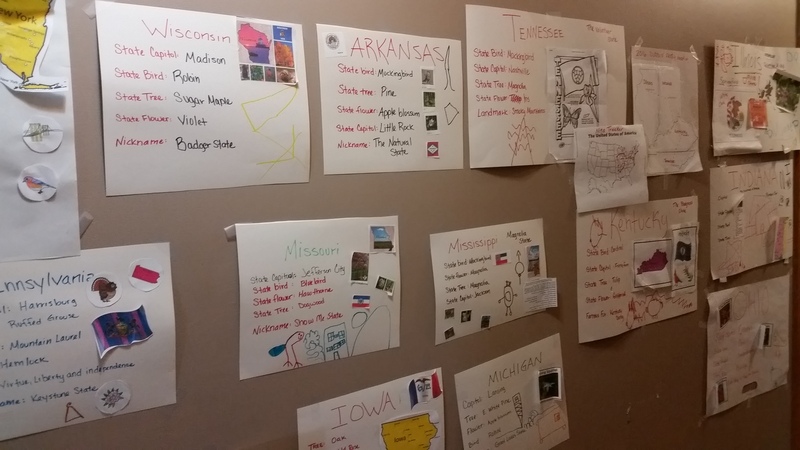 We made a poster with the basics: state capitol, bird, flower, tree, nickname and a drawing of something the state is famous for to add to our wall of states we’ve already studied. 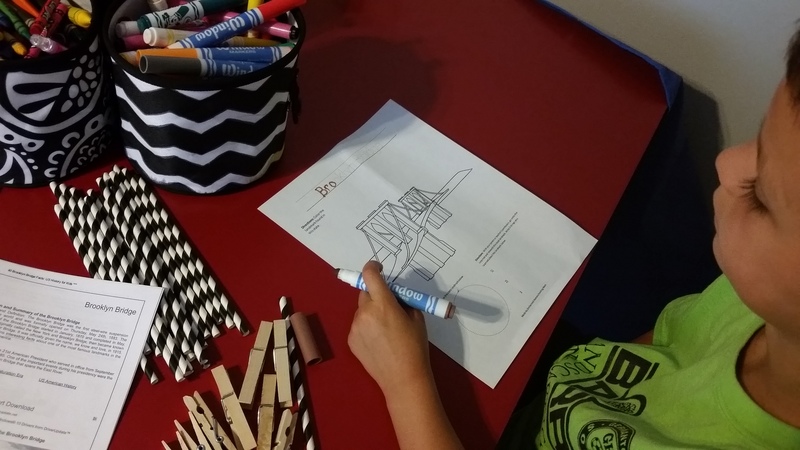 One morning, the boys found straws, clothespins, popsicle sticks and coloring sheet of the Brooklyn Bridge in the mailbox. We watched a few YouTube videos to learn more: What kind of bridge is it? How long did it take to build? What was it used for? Then, I asked them if they thought they could build their very own suspension bridge. 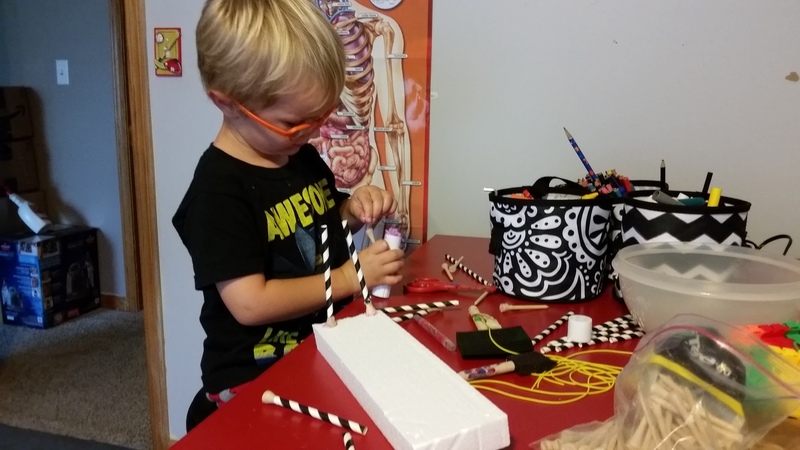 Using the materials left in the mailbox, as well as anything else they could find around the house, they got started. Joe brought empty toilet paper rolls and elastic string to the table. 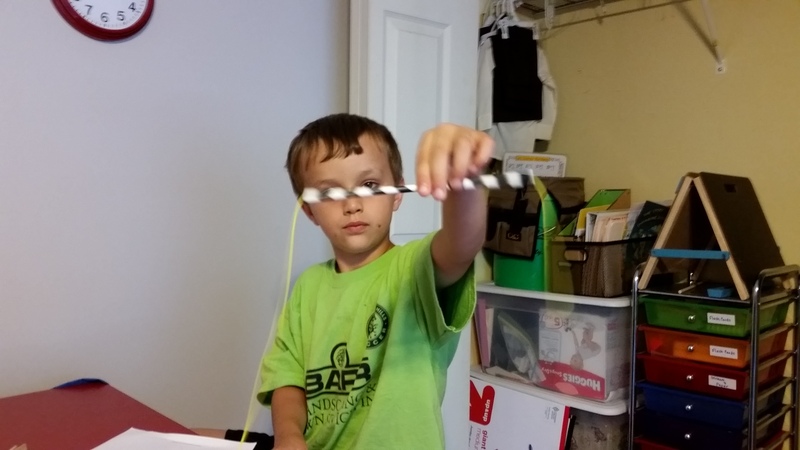 Jake found some styrofoam and golf tees from our craft box to use. They made several types of bridges. 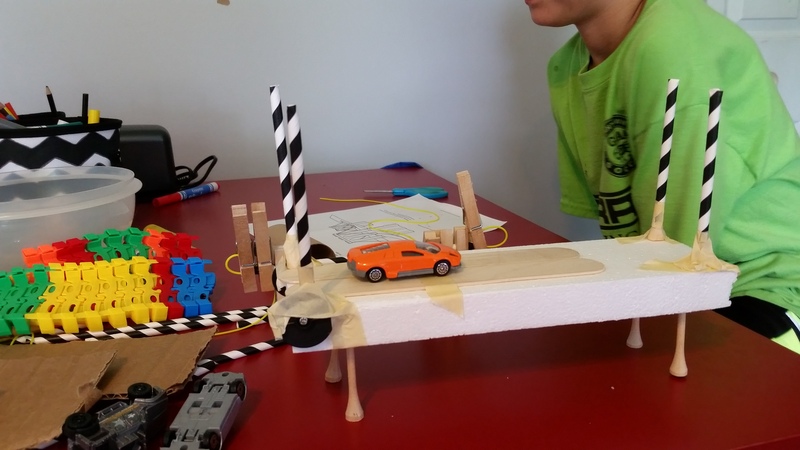 Joe was excited to finally settle on his suspension bridge design using a popsicle stick, straws, golf tees and elastic string. 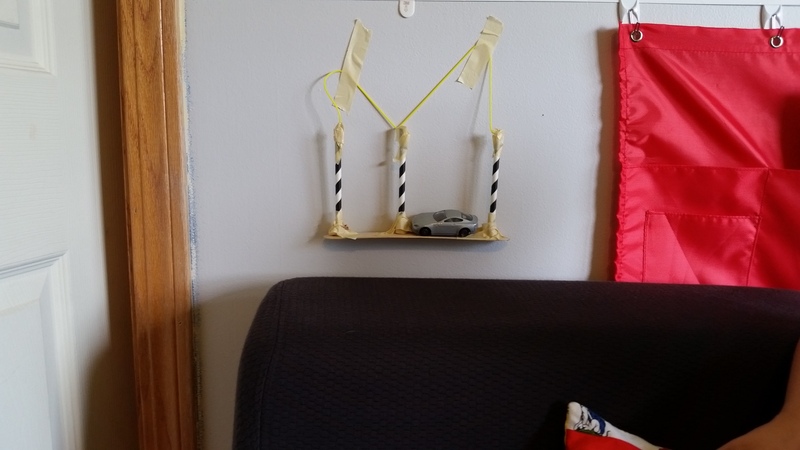 He “suspended” it from the wall using tape and put one of his hot wheels cars on it to demonstrate how it worked. 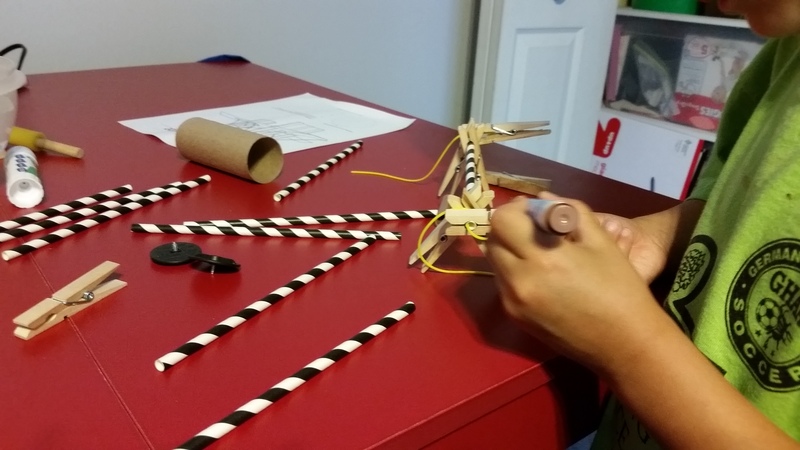 Then he made a tunnel using clothespins, string and a straw, so we talked a little bit about the Holland Tunnel. Joe was impressed that it went under water. They’ve both learned more about bridges and know now that there are different types and ways to build them. 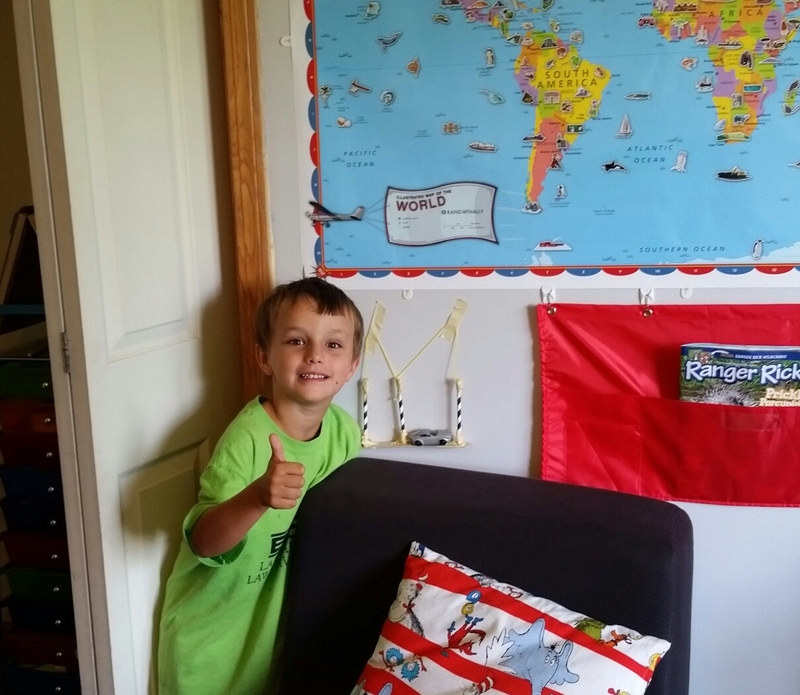 This project is fun and the boys love seeing what’s in the mailbox each morning. Sometimes they wake me up, waving what they found and asking me what we are doing for the day. Sometimes they aren’t too interested or excited about the activity of the day. But, when I forget to put something in the mailbox, they are disappointed…and that makes me feel like I’m doing things right. This entry was posted in Education, For the Kids, Homeschool, Life, Permaculture. Bookmark the permalink. I wish I could tell you how happy it makes me that you and your boys are keeping Nita alive. Now if only I could figure out how to make that happen for others!